Recently I was in Verona to visit Vinitaly, 49th edition of the greatest fair on wine in Italy. I was proud to see that Tuscany was the most represented region with about 700 wine producers, and many of them were from Florence and the territory around the city. The most famous wine in Florence is Chianti Classico, named after the region between Florence and Siena. Some of the Chianti wine producers are most probably the longest-living companies in the World: I’m thinking of the Frescobaldi, Antinori and Ricasoli families, producing Chianti wine already in the 13th century. In 1716, Cosimo III Grand Duke of Tuscany first defined the boundaries of the region by law. Only wines made in that area could be legitimately named Chianti. During the 19th century, the recipe for Chianti wine was set by Bettino Ricasoli, first Prime Minister of the new born Kingdom of Italy (and wine producer himself), stating that Chianti is made with a blend that includes 70% of Sangiovese grapes. More laws during the 20th century expanded the Chianti region which was also split in sub-areas; the original small Chianti region is now called “Chianti Classico”, and wines from this region are easy to identify thanks to their brand, the Chianti Gallo Nero (Chianti Black Rooster). During the early Middle Ages, feeding a city was not that easy. A city needed land, but we don’t have many fertile plains in Tuscany. Florence has mountains to North and East, so they had to fight with Pisa to the West and Siena to the South in order to get the needed territory. Siena had the same problem, because there’s mountains to East, and to South and West, although today there is the fertile land of Maremma, during the Middle Ages all you had was a noxious swamp. The only way to get some good real estate was to North, fighting with Florence. After many fights, with the borderline changing everytime, and (more important) after spending a lot of money in wars with no real return, Florence and Siena decided to set the borderline once and forever with a contest: a knight would start from Florence and one from Siena, riding in opposite directions: the meeting point would become the definitive borderline between the lands of Firenze and the lands of Siena. An umpire from Siena would have been in Florence, and an umpire from Florence would have been in Siena, to make sure that everything was regular. The main problem was to synchronize the start: they didn’t have any atomic clock… but they had roosters, timely informing the city about dawn coming. Looks like Siena handed his destiny to a white rooster, treated as a champion, a soon to become hero, and this white rooster was feeded like a king and put in condition to relax, in order to make an excellent job. On the other side, Florence decided to use a black rooster, but the attitude towards the “hero” was totally different: they decided to let him starve, so that he was very hungry, could not sleep, and, in the end, woke up and started to scream a lot earlier, giving the Florentine kinght a big advantage. This way the borderline was much closer to Siena, and Florence had much more land… maybe this is why it became more important than Siena, who knows. 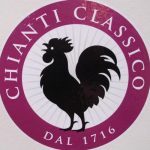 By the way, the black rooster became the symbol on the flag of Chianti, and today is one of the most famous brands in wine, recognized worldwide! 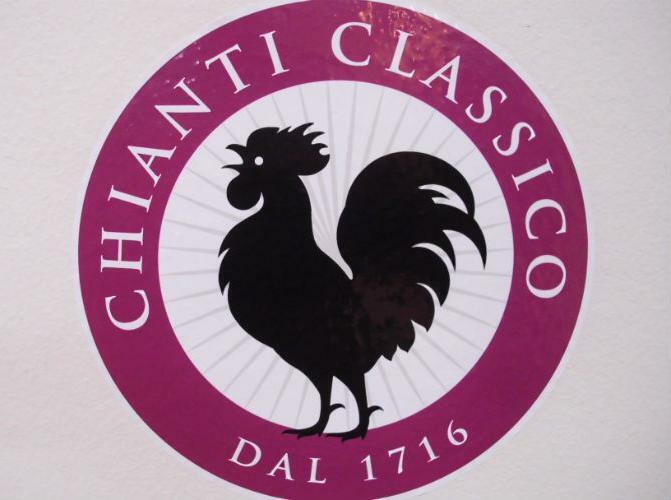 Only the bottles produced in the Chianti Classico (the original Chianti region) can be labeled with this symbol. Chianti Classico is the perfect wine if you plan to eat bistecca alla fiorentina, and for many more Tuscan recipes! If you want to taste Chianti in Florence or in the Chianti region, we can arrange a wine tasting tour for you; just contact us to arrange your Florence wine tasting today!